Aperture Pictures was recently invited to team up with Rich Tolsma Productions(http://richtolsmaproductions.com) and MG Pictures(http://www.mg-pictures.com) to help produce a series of spots for Big Brothers Big Sisters of Southeastern PA. 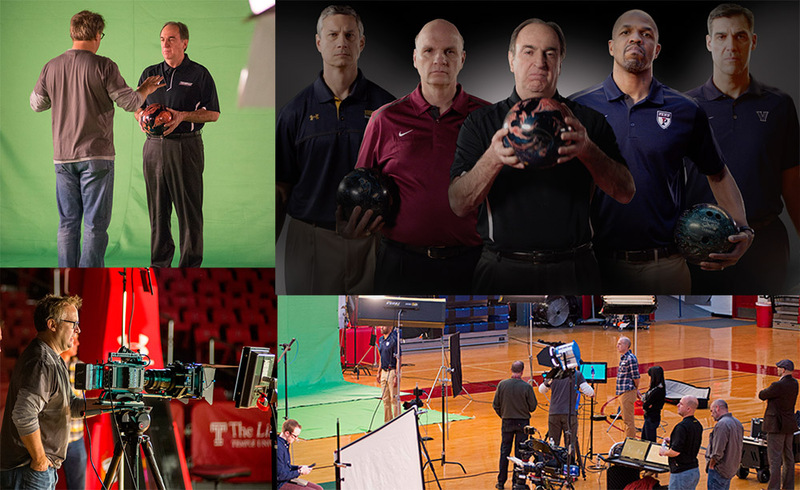 The spot Aperture Pictures was primarily responsible for brings all five coaches of the Big Five basketball teams together for a coaches challenge – Bowl For Kids Sake. Due to scheduling restrictions, the coaches were all shot separately against green screen, on their respective home courts, and composited together in post. The footage was acquired using Aperture’s Arri Amira and was composited in After Effects. Trapcode Particular was instrumental in providing the smoke and Element3D extruded the team logos. Editing was completed is FCPX.